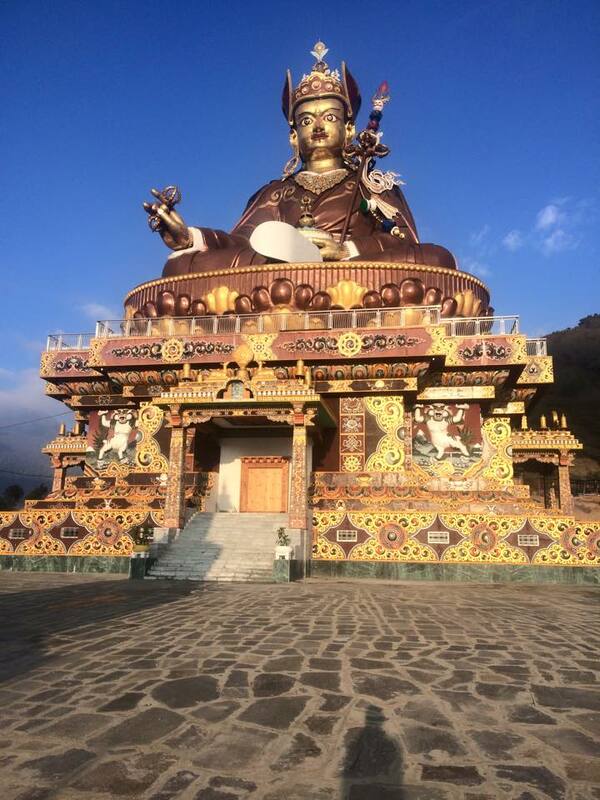 With the completion of the world’s tallest statue of Guru Rinpoche in Lhuentse, eastern Bhutan, many people’s attention has turned to this great yogi. What is his connection to Bhutan? Was he a deity or a man? Well, the great yogi was neither an ordinary human nor a god but an emanation of both Buddha Amitabha and Sakyamuni, and he appeared in the world to bring teachings that were appropriate to the times and conditions. As befitting a great being, Guru Rinpoche was not born in a conventional way, but appeared miraculously as an eight-year-old boy seated in a lotus at the center of a lake. It did not take long for the news of the miraculous birth to reach King Indrabhuti. Greatly impressed by the boy’s wisdom and virtuous appearance, the king promptly took him back to his palace and enthroned his as the crown prince. The king also bestowed on the boy a name associated with his unconventional birth: Padmasambhava – the Lotus Born. 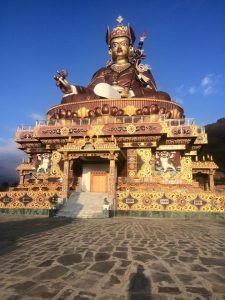 Although much loved, Guru Rinpoche had a greater vision and so after a number of years in the palace he created an incident that caused him to be expelled from the kingdom. With his expulsion, the great yogi left the state of Uddiyan and ventured out into the world. In this way, he spent many years in India and Nepal exploring and touching all aspects of existence. His first visit to what is now Bhutan came at the invitation of the ministers of Sindhu Raja, a king who lived in an iron fortress known as Chakar in Bumthang. Sindhu had lost his son in a battle and the incident had so deeply disturbed him that he ordered the destruction of all temples dedicated to the local protector, Shelging Karpo. In retaliation, the protector severed the life force of Sindhu, causing him to fall gravely ill. Unable to find an antidote to the ailment, Sindhu’s ministers sent an urgent appeal to the Guru requesting his intervention. 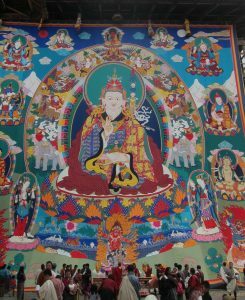 The great yogi agreed to the request, and soon after his arrival in Bumthang performed eight sacred dances, which were supposed to be so spectacular that all the local deities appeared to watch. At first, Shelging Karpo lay low, but eventually he could not resist the spectacle and ventured out from his hiding place in the form of a white lion. Despite the disguise, the great Guru immediately recognized the former protector and, swooping down from a great height, was easily able to capture him. So with the power of his spell severed, Sindhu Raja regained his health and subsequently converted to Buddhism. 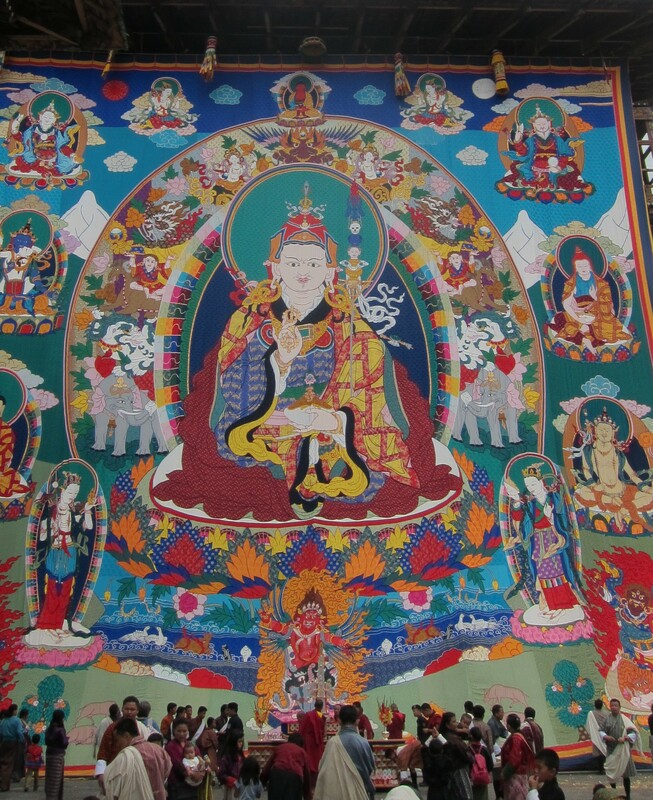 This event marked the beginning of the Dharma taking root in Bhutan, and a body print of Guru Rinpoche meditating in a nearby cave serves as a tribute of this occasion.